We’re Engaged! Where do we start with wedding planning? First of all, congratulations on your engagement! It’s such an exciting time for you and we’re so glad you’ve found the one person you want to spend the rest of your life with. You’ll no doubt discover pretty soon that there is A LOT that goes into planning a wedding. So where to start? Right here ! I’ve created a bit of a break down to help you create the ultimate love party for you and your partner. The first step is sitting down with your partner and discussing what your dream wedding looks like. Will it be a grand affair, a fun party or a simple backyard wedding with close family? Do you picture getting married on a clifftop in the Greek Islands, perhaps a beautiful winery overlooking a lake, in a rainforest or even a quaint little chapel? Once you have created a vision of what you both want for your wedding day it will be so much easier to narrow down the search to find your dream venue. Is there a perfect time of year or a particular date that is special to you? Maybe 20/02/2020 has a nice ring to it! Think about whether any guests may be travelling to be at your wedding and how much notice to give them. It’s also a great idea to look up if any major events are happening on your preferred date that may impact traffic, accommodation or guests being able to attend. You may even like to consider a mid-week or “off-season” wedding so that you can have a better chance of sticking to your budget and having your top pick of wedding suppliers. As you’ll soon discover, all the best wedding suppliers book out early so get on it! Oh gosh, that dreaded word! Just hear me out though, ok? Creating a budget for your wedding may seem pretty daunting but it is an imperative part of the planning process and something that is best done early in your planning. Putting a list together of all the things you would love to have and then all things you can actually afford will manage your own expectations from the get go and will give you a really clear insight into what you must have and what you are willing to compromise on. Before you start looking for your dream venue it is best to have an approximate idea of how many guests you want to celebrate with. That way you can find a venue that can cater to your specific numbers and you can also work a cost-per-head for each guest. WOW! We’ve FINALLY made it to the fun part and that is finding your dream venue hooray! Google will be your best friend here so go forth and prosper! Each venue will offer different services and pricing structures so this is where your budget and guest numbers will come in very handy. Some venues may offer all-inclusive food and drink packages whereas others may just offer the venue space and you DIY it like a crazy MOFO. Just a little hint, you may think that organising everything yourselves will save you a heap of money but once you sit down and work out all the things you need to consider, it may not work out to be as cost effective as you think. And remember, if you are planning an outdoor ceremony or reception, ALWAYS have a Plan B weather contingency plan!! Obviously I am a little one-sided as to how important a celebrant is to your wedding day – I believe it should be very high on your priority list! Just remember, it’s not a wedding without a celebrant, it’s just one expensive party! Finding a celebrant that will set the tone for your day and create a memorable and enjoyable ceremony to suit you and your partner will make your wedding day so special for both you and your guests. You will thank me later when you look back on your ceremony and realise how much it reflected you as a couple and set the scene for an amazing day to follow! 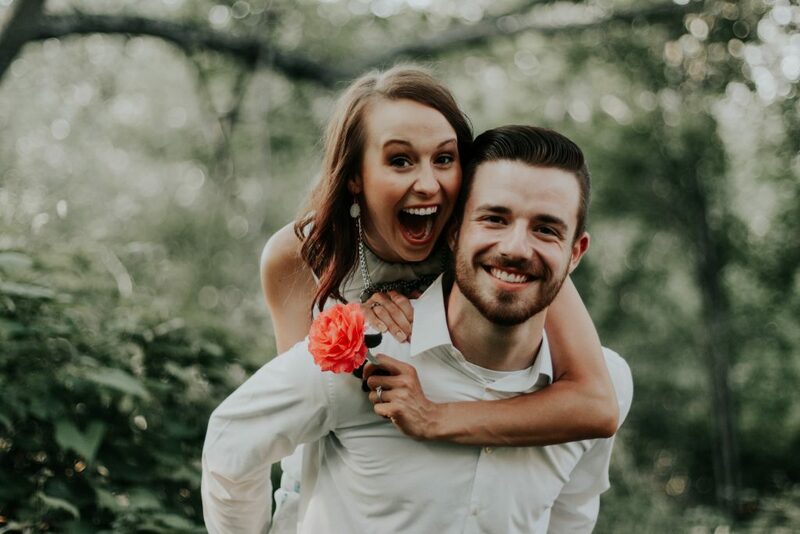 I truly believe there is a celebrant to suit everyone so be sure to go with someone who you connect with and trust to share your love story. Now that all the important things are in order, it’s time to write one big To Do list! There are plenty of resources online including some awesome apps which can help you with the planning process, so find one that works for you. My friends at Ivory Tribe have published Bride Business, a stylish, sassy guide to help keep you organised. I must admit we do like the old-fashioned wedding planning folder to have on hand whenever I need it! Setting a timeline for each task will make the whole process seem less daunting and you’ll have a clearer idea of what to prioritise and when (as she looks up bio-degradable confetti on Pinterest….). Most importantly… have fun! Remember to enjoy the planning process. Remind yourself that your wedding is about marrying the one person that makes you the happiest in the world and everything else will fall into place!